An impressive weekend for the Malaysian MiniGP Members Championship held on the ground of Putrajaya on the 13th of December; where two overall champion were crowned following from their great and consistent performance throughout the 2015 season. Reffy Kamar and Zulhilmi Yazid both secured their title by giving a great performance in front of a loyal sum of 400 to 500 spectators, despite the weather being hot and wet throughout the day. The 39 years old rider of the PB2R Racing Team started the day after a decent showing in the qualifying session to start from 3rd position of the first row. The overall champion of the Open class category were already confirmed as a champion during the 4th round held in Sepang on October this year but he was determined not to let down the team’s effort for the final round recently. Reffy started both race carefully and completed both of the race in a safe zone position with a 5th and 4th position in both race 1 and race 2 respectively. The result simply solidifies his position on the overall standing with 126 points cumulatively; following from a consistent performance throughout the season which kicks off last August. Zulhilmi on the other hand was totally dominating the standard class category by finishing off the season with an astounding 165 points. He was also dominant to score a perfect race in the final round last weekend which brought him a solid 50 points to further extend his lead over Mohd Emy by 54 points. 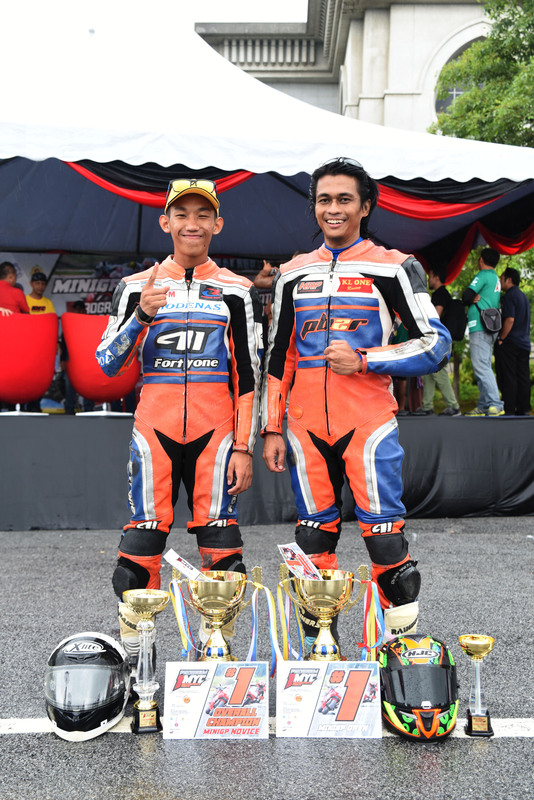 Both Reffy and Zulhilmi were then crowned as the champion for the inaugural season of the Malaysia MiniGP Members Championship. This shall be a great milestone and a mark of history for the series. Race 1 was held under a cloudy but dry condition which saw a great battle across the grid and everyone was battling hard in their own races. Hafiq Azmi who were the wildcard rider of the round certainly was impressive and given a great a show for the spectators to enjoy. The young future Asia Talent Cup rider; Izam Ikmal had a positive outing with the former World Moto3 rider of SIC Team which saw them battling it out in both Race 1 and Race 2. 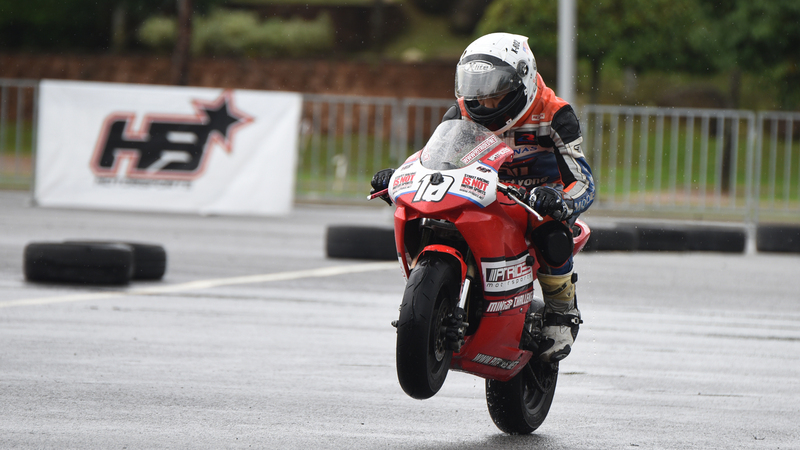 Second Race was held under a very wet condition which saw brave riding by all the competitors and given the fans some enjoyable moment of great passing under such an extreme condition. Ultimately, it was a great race weekend for everyone who was present at the ground of Putrajaya to witness the conclusion of the Malaysia MiniGP Members Championship. The excitement will surely be improve more in the coming season as more participants will be joining the race and the organizer will make an extra effort to bring the series closer to the people here in Malaysia.